What we love about Incy’s stunning Harry Cot is how beautifully timeless it is. Not only that, but its stylish metallic finish means it will blend well with any colour scheme, so no second guessing if you’re expecting a boy or a girl! Looking for something that will really last the years? Then Plyroom’s Ava Cot is what you need! 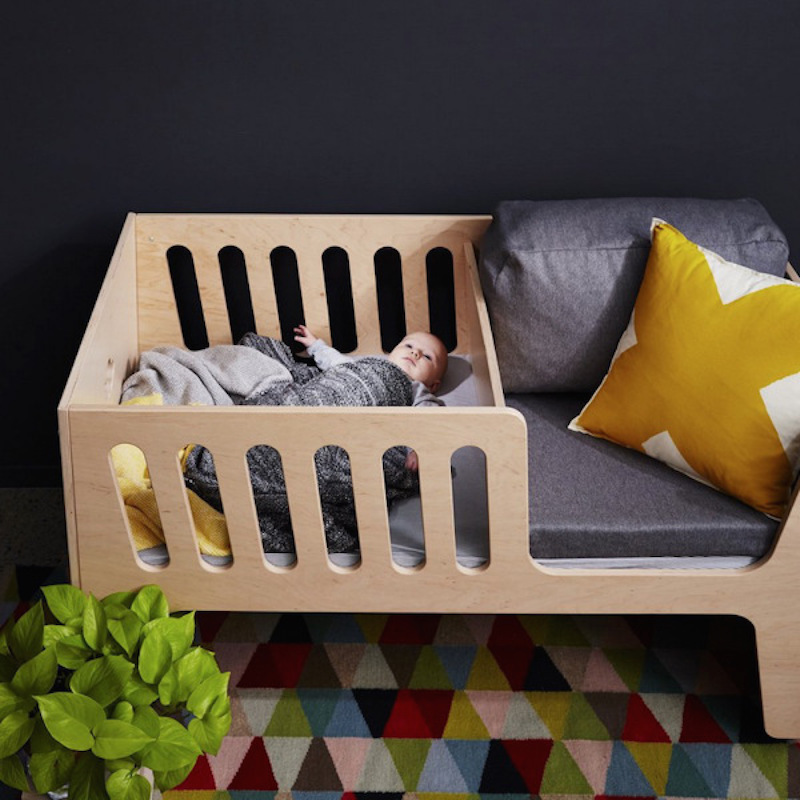 This cot doubles up as a daybed for when your little one isn’t so little anymore, saving you money in the long run. 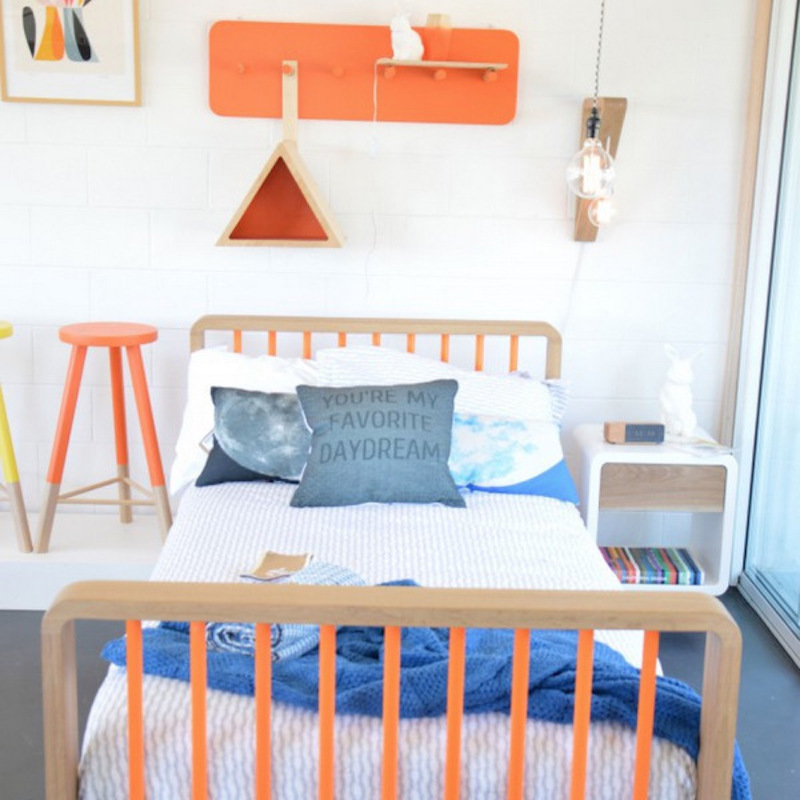 And it doesn’t stop there – flip this cot over and it transforms into a desk!! Wow, talk about multifunctional, you really get your moneys worth with this one! 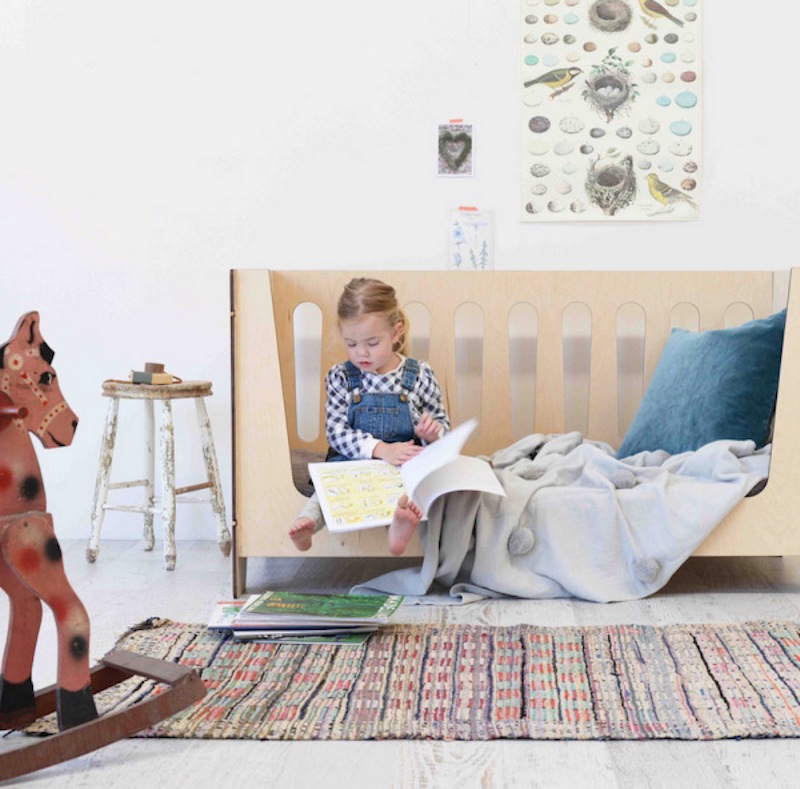 Starting off as a cradle and rocking chair for when your bub is still little, this cot then transforms as your child grows, adapting into a bed with a cave-like play area underneath! Erm, are we too old for one!? If you’re after something uber stylish for your new bundle of joy, this is the cot for you! Combining traditional warm wooden elements with modern acylic panelling, this cot is not only en vogue but it’s also really practical, allowing you to easily keep an eye on baby. Got a groovy kid? Then you’ll need this groovy bed! Let your kid go absolutely crazy and customise it to their heart’s content – from Photon red to Galaxy sparkle, its not just a bed, its a statement! And, the cherry on top? It’s glow in the dark! Yep, you heard us, glow in the dark! 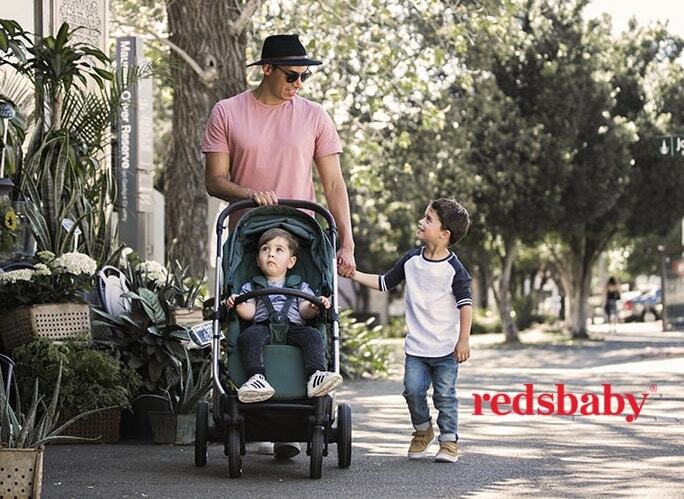 Meet all of these vendors and more at one of our upcoming One Fine Baby fairs in Sydney and Melbourne – dont miss out, book your tickets here!